Disclaimer: I have based my ideas for Mace Windu and Darth Sidious on info from their wookiepedia pages. 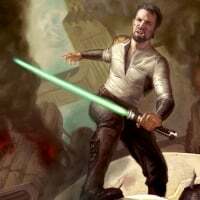 Some info is pulled from the old Expanded Universe aka Legends and technically is no longer canon. I felt this was necessary with Mace in particular since there is very little to set Mace apart from other Jedi canonically speaking. Mace Windu was Master of the Order, the elected leader of the Jedi High Council and 2nd highest position in the Jedi Order after Grand Master, from an unknown point in time until 22 BBY, when he vacated the role and passed the title to Grand Master Yoda so that he could serve as a General during the Clone Wars. Mace Windu was typically considered to be the 2nd strongest Jedi in the Order overall after Yoda, weaker than Yoda in Force Abilities, but possibly a better lightsaber duelist that Yoda (Mace managed to disarm Sidious during their lightsaber duel, which Yoda proved unable to do). When it comes to lightsaber combat, Mace was one of the few Jedi in the order to master all 7 forms of lightsaber combat. He not only mastered Form 7, Juyo, the most difficult of all lightsaber forms to master, he was so skilled at it that he managed to create his own unique variant of Form 7 called Vaapad, noted for it's incredible speed. He had a rare talent for the Force Ability Shatterpoint, which allowed him to see the weak points in objects or enemies and exploit them. Mace Windu walked the line between light and dark much closer than most Jedi dared to, utilizing darker emotions like anger and darker force powers like Force Crush during combat without succumbing to the dark side. Force Crush: Almost instantly Crushes enemies in front of Mace Windu in an 8m, 45 degree cone for 120 damage. 25 second cooldown. Shatterpoint: A saber strike with a 2m lunge, if it connects with an enemy it does 100 damage and increases the amount of damage the enemy takes from all sources for the next 5 seconds by 20%. 16 second cooldown. -Increases the duration of Shatterpoint's effect to 5.5/6/6.5/7 seconds. -Mace regains 20 health per defeated trooper and 40/60/80/100 per defeated villain. 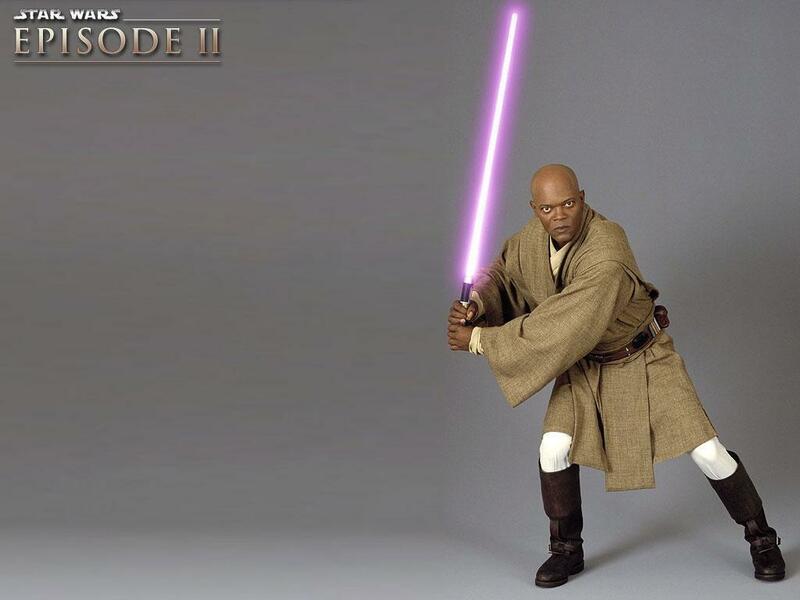 -Mace Windu uses 8/10/12/15% less stamina when attacking or blocking. Darth Sidious was the Dark Lord of the Sith during the waning days of the Old Republic. Tremendously cunning, he managed to orchestrate a plan to take over the Galaxy which ultimately succeeded. Darth Sidious was exceptionally powerful in the Force, his Force Lightning was much more powerful than that of Count Dooku, powerful enough to kill and burn Lyleks, which were tough enough to withstand heavy blaster fire. He was also exceptionally skilled at Force Telekinesis abilities, able to effortlessly levitate and throw multiple Galactic Senate platforms in quick succession, and choke two Mandalorian guards to death simultaneously in just a few seconds with a simple gesture. Sidious was also an exceptionally skilled lightsaber duelist, defeating every opponent he ever fought except for Mace Windu, who he lost to, and Yoda, which was a draw. Using Force Speed augmented attacks, he killed the Jedi Masters Agen Kolar, Saesee Tiin, and Kit Fisto in mere seconds during a 4 v 1 fight. He also managed to defeat Darth Maul and Savage Opress in a 2 vs 1 fight. Unlike most Jedi and Sith who fought using a single lightsaber form, Sidious incorporated elements from multiple forms in his fighting style, including acrobatics typically associated with Ataru and unpredictable attacks typically associated with Juyo. Notes: Can't block or absorb attacks, unlike the other lightsaber wielders. Can't use lightning and lightsaber at the same time, you have a choice between the two. Lightning barrage: Sidious puts away his lightsaber for 25 seconds, allowing him to do a 2 hand lightning attack that deals 120 damage per second. The clock countdowns faster while attacking, similar to Leia's E-11 or Han's Rapid Fire. 20 second cooldown. Furious Spin- Sidious lunges forward with his lightsaber out, spinning twice in the air before landing. Deals 100 damage to any enemy that it connects with. 2 charges. 6 second cooldown per charge. -Increases the damage of Chain stun to 50/60/70/80 damage. -Increases the stun duration of chain stun by 0.25/0.5/0.75/1 second. -The damage of Sidious' one hand lightning attack is boosted by 6/12/18/24 per second, at the cost of 20% greater stamina drain. -Sidious can do 1 extra Furious Spin, but the recharge rate is 25/20/15/10% slower. -Sidious can regenerate 25/50/75/100 more base health. I know I don't have 9 star cards for Sidious, I'm open to ideas for the missing star cards. I am also open to ideas for balancing star card percentages, cooldowns and such. Be on the lookout for more hero/villain pair concepts from me in the future, including Obi-Wan/Grievous, Anakin/Dooku, Padme/Jango Fett, Ahsoka/Ventress, and more. But the abilities of Windu looks great! Well yeah, we technically do as Palpatine. But I know I'd like to see a version of him with a lightsaber. 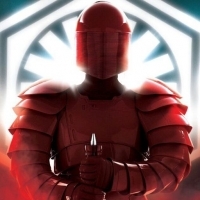 Also, so far DICE has been pairing heroes heroes and villains together for balance reasons, and there's really nobody else to pair Mace with, he only fought 2 main villains in the movies, Jango and Sidious, and Jango doesn't really work balance wise since he's a blaster wielder and Mace is a saber wielder (so far DICE is keeping an even number of blaster and saber heroes and villains). I'd be looking for a Prequel Era hero as well, but maybe Ventress, Dooku, Grievous, Rex, Cody, Obi-Wan, FIves, Echo, etc.